A stylish Christmas card with ‘NOEL’ design. 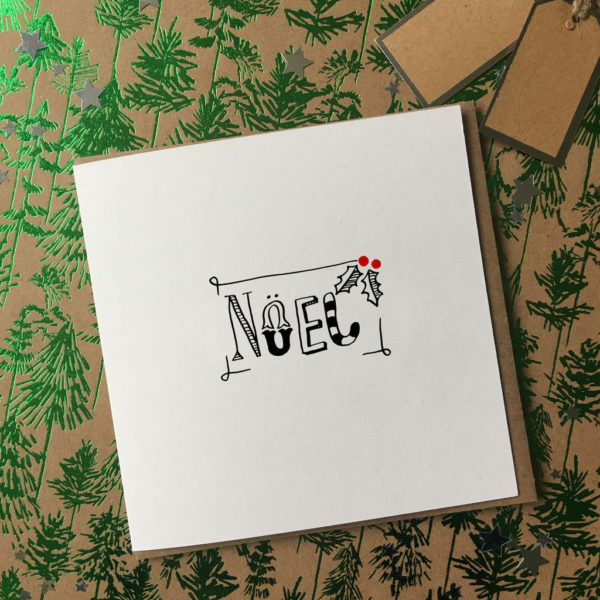 A stylish card for the discerning customer, with a french ‘Noel’ design. Printed on high quality uncoated card stock. Square card supplied with a Kraft brown fleck envelope, cellophane wrapped. Packed in 8’s.